Irving-based real estate development firm Realty Capital Management has received some economic incentives from the City of Burleson, which will help start a $25 million apartment development on the city’s Main Street. Upon completion, the four-story, 200-unit apartment community, called the Depot on Main, with live-work units (like an artist’s studio) will sit on a 5-acre tract at the northwest corner of King and Main streets. This project is integral to Burleson’s future plans to make this part of the city, known as Old Town, a vibrant, pedestrian friendly neighborhood, said Mayor Ken Shetter. “In order to achieve our live, work, play, walkable vision for this area we’ve always known that we will need to achieve greater residential density,” Shetter said, in a statement. He added that there were few opportunities in Old Town to accomplish this vision and the Depot on Main has struck the right balance between residential and business uses. 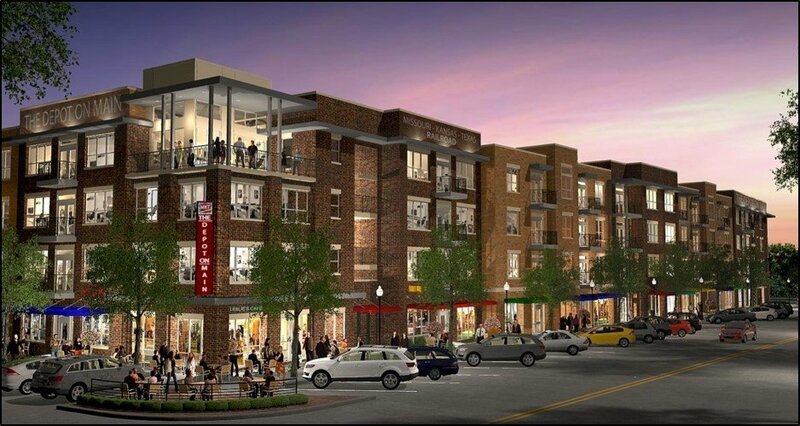 Along with building a new apartment community, Realty Capital will also upgrade the public sidewalks and improve parking. At a minimum, The Depot on Main is expected to bring a minimum investment of $25 million to Burleson. In exchange for the real estate investment, the city approved a tax rebate of up to 80 percent for the next 15 years or $2 million dollars to fund public and private improvements. The Depot on Main will fit into the surrounding architecture within Old Town. The addition of urban living in Burleson will be a “game changer,” for the community, said Justin Bond, director of development services. “This will build on the momentum that has already been created by the businesses that call Old Town home,” he said. Construction is slated to get underway in the second quarter of 2017, with completion expected by the end of 2018.